Gym Personal Injury Claims Guide – How To Claim Compensation For An Accident At The Gym? – Am I Eligible To Claim For A Gym Injury? Have you been injured in an accident at the gym that was not your fault? Then you could be entitled to make a gym accident claim for compensation. Whether you have suffered from a gym injury causing back pain, gym injury to your arm or gym injury to your ankle, you can be assured that if the accident was caused by negligence on the part of the gym, you could be entitled to claim gym injury compensation for your injuries. Trust the expert advisors at Advice.co.uk to provide you with an excellent personal injury solicitor who has the right skills and experience to represent you in suing the gym for your injuries. We are a trusted personal injury claims advisory service. The gym accident lawyers that we work with will always push to win you the maximum amount of compensation that you are entitled to receive, and some of them have three decades of experience handling personal injury claims, so you’re sure to be in a safe pair of hands. If you have been injured because of an accident at the gym that was not your fault, we would be able to help you claim the compensation that you are entitled to. Call us today on 0161 696 9685 for your free personal injury claims consultation. One of our informed advisors will listen to what happened to you in detail, and if you do have reasonable grounds to claim compensation, we will provide you with an excellent personal injury solicitor to handle your claim. You will also get the option to make a no win no fee claim, which is the less stressful option for many of our customers. What Is An Accident In A Gym? How Are Gym Accident And Injury Claims Calculated? What Duty Of Care Does A Gym Operator Owe Customers? Does Signing A Gym Waiver Or Disclaimer Affect My Ability To Claim Compensation? Is The Gym Always At Fault In An Accident Claim? How Long Does A Claim Take And Are There Personal Injury Claim Time Limits? Many of us go to the gym on a regular basis to keep fit and healthy, or train for a particular athletic pursuit such as running or weight lifting. Most gyms are run to a high standard, however, accidents at gyms can happen, if standards of health and safety are neglected. Unfortunately, because gyms have heavy free weights and exercise equipment, many gym accidents can be serious. As a business, your gym has a legal duty of care towards their staff, customers and other people who may use the business such as a self-employed personal trainer. This means that they are legally responsible for taking every reasonable precaution to protect the health and safety of people who use their premises. If they neglect this duty of care by causing or deliberately ignoring a health and safety hazard, which results in an avoidable accident in which a person is injured then they could be held liable. As a result, the gym (the Defendant) would have to pay the injured party (the Claimant) gym injury compensation. In terms of making a gym accident claim, the accident has to be caused by negligence on the part of the business and have caused an injury, for the injured party to be able to make a gym injury claim for compensation. Some common accidents at gyms may include: accidents involving a leg press, gym accidents involving a bench press, weighted gym ball accidents, and gym bench accidents. If you have been involved in an accident at a gym that was not your fault, you could be entitled to a sum of money in compensation. Call us today about making an accident at a gym compensation claim. If you have been injured at the gym because of an accident that was not your fault, you will probably be anxious to know how much compensation you could claim. We have included an injury compensation calculator to help you estimate how much compensation you can claim for your gym injuries. The amounts of compensation quoted in this injury compensation calculator is based on average amounts of compensation that are awarded to our clients for specific injuries. Your claim may be worth even more, depending on your personal circumstances. This gym injury compensation calculator will also not include any special damages you can claim in your claim. For an accurate quote, call Advice.co.uk and we will estimate how much gym injury compensation you could be entitled to claim, based on your personal circumstances. 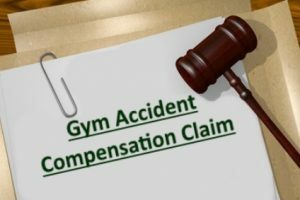 If you make a successful accident claim for gym accident compensation, your compensation package will be awarded to you in two parts, general damages, and special damages. We will now look at what these are in more detail below. General damages are the main part of your gym injury claim. They are awarded for the pain, suffering, and loss of amenity that the Claimant has suffered as a result of their injuries. Your solicitor will calculate how much you could claim in general damages based on the medical report your doctor will write after assessing you, so you know that you won’t get short changed when you claim. Medical expenses: this can include reimbursement for the cost of medicines, hospital treatment or physiotherapy. Travel expenses: this can include the cost of travelling to hospital appointments or seeking alternative transport if you were left unable to drive for a period of time. Home adaptation expenses: If you become permanently disabled and need to adapt your home, you can claim expenses for this. Mobility equipment expenses: If you become permanently disabled and need to mobility equipment, you can claim expenses for this. Expenses for at home care: This can include funds to pay back a friend or family member who cared for you whilst you were recovering from your injuries or funds to pay for a permanent carer if you are now in need of one. Loss of income: If you missed out on being paid your salary or any in work benefits whilst you were recovering from your injuries, you can claim these back as expenses. We will now look at some gym accident statistics to see how often accidents at a gym are. According to Sport England, in 2015 alone spending on gym memberships rose by nearly 44%. This may reflect an increased awareness of the positive impact that staying fit can have. A recent study found that 41% of adults in Britain have been injured at the gym or doing a physical workout. Worryingly these gym accident statistics showed that 12% have had to go to the doctor, or A&E due to a workout going wrong. Some of these injuries may be due to gym users acting irresponsibly, for example, 38% of those surveyed said they never warm up before a workout, 9% said they won’t stop if they feel excruciating pain. This may be due to negligence on their part, or the gym not giving the customer a proper induction which teaches the person how to use the equipment safely. These statistics make for worrying reading, especially if the injury is caused by negligence on the part of the gym. According to the Occupiers Act of 1957, an occupier has a duty of care towards customers, staff and anyone else who may have reason to use their premises. A duty of care means that one party is responsible for taking every precaution possible to ensure the health and safety of another party is protected. Whether the gym operator owns or leases the building, they have a legal duty of care towards anyone who uses it. What parties could have a duty of care at the gym? The occupier: this means the gym operator. This may be a private company or the local council. The gym instructors: Gym instructors are supposed to be properly qualified and trained to help advise customers on how to get the best use out of the gym facilities, whilst also keeping themselves safe. If a gym instructor misinforms a customer, resulting in them becoming injured, they could be held accountable for their injuries. It may be the individual gym instructor who is held liable for the customers’ injuries, or the management if they did not provide the correct training, or ensure that the instructor was properly qualified. If the gym operator is held responsible for your accident at a gym, they will be liable for gym accident compensation for your injuries. Clients who approach us because they have been injured because of accidents in the gym wonder if they can still claim gym injury compensation if they have signed a waiver or disclaimer when joining the gym. This is a very good question to ask. Under the Unfair Contract Terms Act of 1977, gyms that ask clients to sign a waiver or disclaimer upon joining can be contested if negligence on their part caused the client to become injured. If you are unsure of where you stand with a gym accident claim, call Advice.co.uk to speak to one of our informed advisors. They will be able to let you know if suing the gym is a possibility for you. Under some circumstances, your gym may not be at fault for an accident you sustain there. For example if a maintenance is hired by the gym to carry out repair work which causes you to become injured (for example, they leave a floorboard loose which causes you to suffer a slip, trip or fall accident), then they could be held liable for your injuries and have to pay you gym accident compensation. If you are unsure who is liable for your injuries, your gym accident lawyer provided by Advice.co.uk will be able to investigate further to establish liability. Call us today, to enquire about making a gym accident claim for compensation. Incorrect use of machinery and equipment: Gyms house heavy and imposing equipment. Using the equipment incorrectly can cause injuries such as musculoskeletal injuries. Gyms usually avoid this by having an induction for new members, where they teach them how to use the gym equipment safely. Faulty equipment: Faulty equipment at a gym can result in many different types of injuries. For example, customers can fall off a treadmill if there is no emergency stop switch. They could also suffer a gym accident on the bench press or gym accident on the leg press, if it is faulty and collapses beneath their weight whilst they are using it. To avoid accidents, gym staff should conduct regular routine checks on equipment. Loose mats: Gyms should have a policy that all mats which are not in use should be put away, and have a member of staff present to enforce this. Although most gym mats have a grip, a loose mat can cause customers to slip if they walk over it, causing a fall-related injury. Slippery floors: Most gyms have hardwood flooring. If a drink is spilled on the floor, or if a pipe leaks onto the floor, this can cause customers or staff to slip and hurt themselves as they fall. If the gym staff do not immediately sign post the wet floor, then clean it up, they could be held liable for any injuries caused as a result. Weights or objects falling: Gyms often keep their heavy weights on a storage rack. If the weights are not stored correctly or the rack is faulty, they can fall and injure a gym user. Racks should be checked regularly for faults, and gym staff should be sure to correct anyone who does not return their weights properly. If you have been injured at a gym because of an accident that was not your fault, call Advice.co.uk to make your enquiry about making a gym injury claim. Warm up and cool down, to prevent soft tissue injuries. Ease yourself into a workout, rather than going full throttle straight away. Change up your workout routine, lift weights one day, use the cross trainer the next, swim or cycle on the third day. Know your trouble spots. For example, if you have a previous knee injury, don’t put too much pressure on your joints. Listen to your body, so if you feel the sort of pain that could result in a serious injury, it’s a good idea to stop. In the UK there is a personal injury claim time limit of three years (may vary). This means that you will have three years since the day your accident happened, or you realised that you have been injured, to claim compensation for your injuries. We recommend you call us as soon as possible, to make sure you don’t fall outside the personal injury claims time limit. Standard time limit for gym accident claims 3 years from the date of the incident or date of knowledge of the injury. Claims for a person under the age of 18 injured. 3 years from the age of 18. Parent or guardian can claim at any time before this. Whether you experienced an accident at the gym which involved a gym ball accident, gym bench accident, gym accident involving a leg press or gym accident involving a bench press, if you were injured in an accident that was not your fault, you could be entitled to claim gym injury compensation. To begin your claim for gym accident compensation, call us today to speak to one of our informed advisors. If you do have reasonable grounds on which to claim, we will provide you with the right gym injury claims solicitor to handle your claim. Call now to see how much you could claim. If you are entitled to gym accident compensation, Advice.co.uk can provide you with a no win no fee solicitor who can handle your claim. No win no fee means that you will only have to pay your fee on the condition that you win your claim. In the unlikely outcome that you do not win your gym injury claim for compensation, you will not be charged a fee. This means that there is not any risk involved in making a no win no fee claim. If you are interested in making a no win no fee claim for an accident at the gym, call us today, to see if you are entitled to claim compensation. Why File A Gym Accident Claim With Our Experts? If you have been injured at the gym that was caused by negligence, talk to Advice.co.uk about claiming compensation. Call us today to be provided with the right gym accident lawyer to handle your claim. The personal injury solicitors we provide are experienced and will always fight to win you the maximum amount of compensation that you could be entitled to. They will also give you the option to make a no win no fee claim, so there is no financial risk to you. Call Advice.co.uk to begin your gym accident claim for compensation today. Contact us by phoning 0161 696 9685 or sending an email to claims@advice.co.uk. We will discuss your claim with you. If we can help you, we may also offer a no win no fee agreement. Get Fit For Free – NHS guide to getting fit for free.